Many US tech jobs show high levels of gender pay discrimination, well above other professions reports online jobs site Glassdoor in a study of more than 500,000 salaries. The report listed the widest gender pay gap as 28% for computer programmer, 16% for game artists, 15% for information security specialists, 11% for software architects, and 10% for SEO strategist. A further 11 jobs were singled out for gender pay gaps, the lowest 2% for hardware engineers. For 12 of the 16 job titles the gender gap was well above the national average across all types of jobs — highlighting the size gender pay gap in tech jobs. Andrew Chamberlain, Chief Economist for Glassdoor said,"The majority of the tech roles we examined for this analysis had male-female pay gaps well above the U.S. average--even after we accounted for differences in age, education, experience, and other important factors." Chamberlain could give no explanation for why the gender gap exists in tech jobs. "While there is no one simple solution to the gender pay gap in tech, we are committed to working to close the gender pay gap through greater pay transparency." Chamberlain points to a welcome overall trend: the gender pay gap has narrowed from 41% in the 1950s to to 24% today. Glassdoor is encouraging employers to use its statistical models on their payroll data to compare "apples-with-apples" and uncover any gender bias. The statistical models have been refined to account for many job factors such as experience, seniority, etc so that gender is the only factor left. Foremski’s Take: What's missing from the data is the numbers of females and males in each job. Gender bias is not just seen in salary data but also in hiring levels. 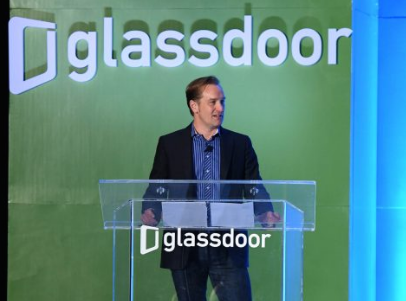 It would be interesting to see those numbers and it would certainly be compatible with Glassdoor's campaigns for greater workplace transparency. But creating diversity in the workplace is difficult because employers legally cannot hire based on any qualities of diversity such as color, gender, sexual preference, etc. Hiring the best person for the job is the only legal requirement.